Daniel Ivan Hicks was an American singer-songwriter who combined cowboy folk, jazz, country, swing, bluegrass, pop, and gypsy music in his sound. 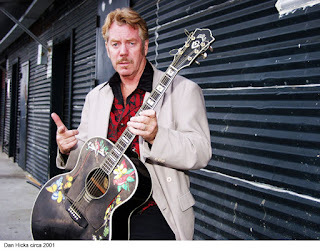 He led Dan Hicks and His Hot Licks. He is perhaps best known for the songs "I Scare Myself" and "Canned Music." His songs are frequently infused with humor, as evidenced by the title of his tune, "How Can I Miss You When You Won't Go Away?" His latest album, Live at Davies, was released in 2013, capping over forty years of music released under his name. Hicks was born in Little Rock, Arkansas on December 9, 1941. His father, Ivan L. Hicks (married to the former Evelyn Kehl), was a career military man. At age five, an only child, Hicks moved with his family to California, eventually settling north of San Francisco in Santa Rosa, where he was a drummer in grade school and played the snare drum in his school marching band. At 14, he was performing with area dance bands. While in high school, he had a rotating spot on Time Out for Teens, a daily 15-minute local radio program, and he went on to study broadcasting at San Francisco State College during the late 1950s and early 1960s. 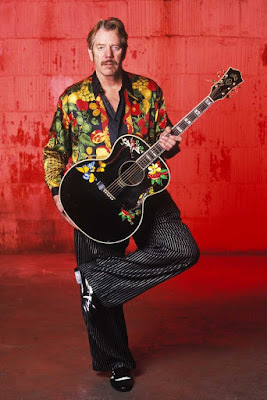 Taking up the guitar in 1959, he became part of the San Francisco folk music scene, performing at local coffeehouses. Hicks joined the San Francisco band The Charlatans in 1965 as drummer. 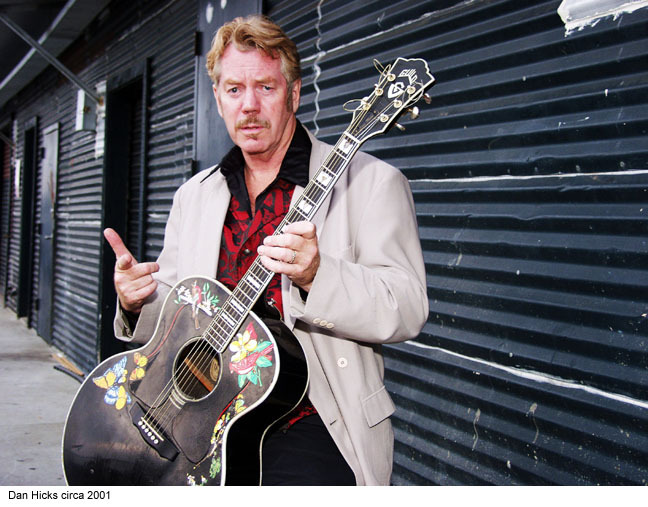 In 1967, Hicks formed Dan Hicks and His Hot Licks with violinist David LaFlamme. LaFlamme left to form It's a Beautiful Day, and was quickly replaced by jazz violinist "Symphony" Sid Page. Vocalists Sherry Snow and Christine Gancher, guitarist Jon Weber, and bassist Jaime Leopold filled out the band, unusual in having no drummer. This line-up was signed to Epic and in 1969 issued the album Original Recordings, produced by Bob Johnston. The first Hot Licks line-up lasted until 1971 and then disintegrated. "I didn't want to be a bandleader anymore. It was a load and a load I didn't want. I'm basically a loner... I like singing and stuff, but I didn't necessarily want to be a bandleader. The thing had turned into a collective sort of thing – democracy, vote on this, do that. I conceived the thing. They wouldn't be there if it wasn't for me. My role as leader started diminishing, but it was my fault because I let it happen; I cared less as the thing went on." As time passed, this particular Hot Licks band became Hicks' "classic" band, in part due to Page's passionate fiddling, combining swing and classical training, as well as Price's sultry jazz vocals in the style of Anita O'Day, reflecting her pre-Hicks performing experience. This particular group reunited for a 1991 taping of an hour-long Austin City Limits television broadcast in the 1992 season. The 1992 reunion program also featured Hicks' new group, The Acoustic Warriors, a combination of folk, swing, jazz and country styles. 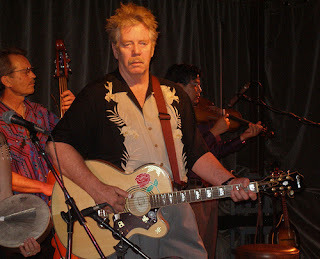 The Acoustic Warriors band consisted of Dan Hicks, Brian Godchaux on violin and mandolin, Paul "Pazzo" Mehling (founder of the Hot Club of San Francisco) on guitar and Richard Saunders on bass. 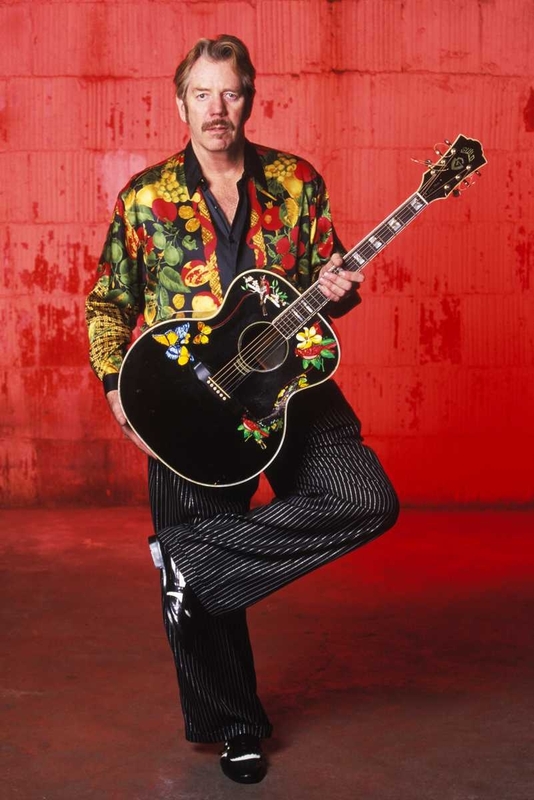 In 1993 the Acoustic Warriors continued to perform locally around San Francisco and on the road, but this edition placed Paul Robinson on guitar, Nils Molin or Alex Baum on string bass, Stevie Blacke on mandolin and Josh Riskin on drums. Hicks recorded one CD with the Acoustic Warriors. Shootin' Straight was released by Private Music in 1996. Recorded live at McCabe's in Santa Monica, it featured Jim Boggio on accordion/piano, Stevie Blacke on mandolin/violin, Paul Robinson on guitar, Alex Baum on bass and Bob Scott on drums. When he first appeared on the scene in the '60s, Hicks was a young guy playing old sounds. But there was something fresh, even original about his approach then, and he hasn't lost his special touch. His voice and his sly, humorous point of view set him apart from any crowd. Now that he's an old-timer, his music seems even more solid and substantial. I even think some of the songs that feature no one but Hicks and his current version of the Hot Licks (Sid Page on violin, Kevin Smith on upright bass, Gregg Bissonette on drums, and Jessica Harper and Karla De Vito on background vocals), such as "Hummin' To Myself" and "He Don't Care," may be the strongest here... Hicks' arrangements make use of banjo, fiddle and Django Reinhardt–like jazz guitar at times. He uses doo-wop style harmony singers to play against affable lead vocals laced with dry, dry humor. 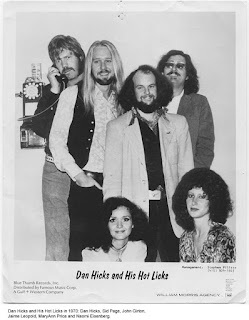 The Surfdog album reinvigorated Hicks, and the guests reflected their longtime admiration for the Hot Licks. This Surfdog success led to several more albums for Surfdog, including a 2007 downloadable compilation of Hicks's previously released duets. Until his final bout with cancer, Dan and the Hot Licks continued to tour internationally. As a side venture, in recent years Dan occasionally played jazz standards at intimate venues in the San Francisco Bay Area with Bayside Jazz. Backed by a combo of Hot Licks, Acoustic Warriors and other seasoned pros, he put his spin on standards. Hicks married Clare "CT" Wasserman in February 1997. He was diagnosed with throat and liver cancer in 2014. In March 2015, Hicks announced on his website that he had been diagnosed with liver cancer. On February 6, 2016, Hicks died from cancer at his home in Mill Valley, CA. 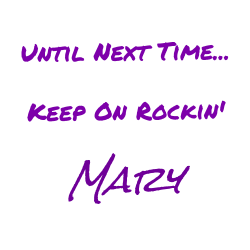 It's not happening tomorrow, but very very soon! 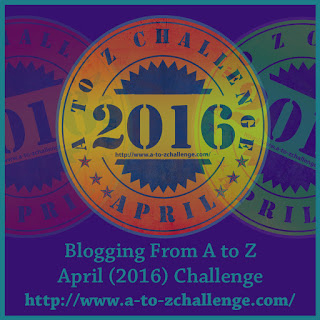 2016 A to Z blogging challenge! Bloggers, Click the image to sign up. Readers, I hope you are looking forward to this challenge as much as I am!